SafeRacks CEO Matt Davis testified at the U.S. Trade Representative Section 301 Tariff Hearings in Washington, D.C.
​LAKE FORREST, Calif., September 18, 2018 – Matt Davis, CEO of SafeRacks, testified on behalf of Eagle Industrial Group Inc., the parent company of SafeRacks, at the U.S. Trade Representative Section 301 Tariff Hearings in Washington, D.C., in opposition to the recently announced tariffs on imported goods from China. The Trump administration will impose a 10 percent tariff starting Sept. 24, 2018, and a 25 percent tariff starting Jan. 1, 2019, on $200 billion of imported goods from China. 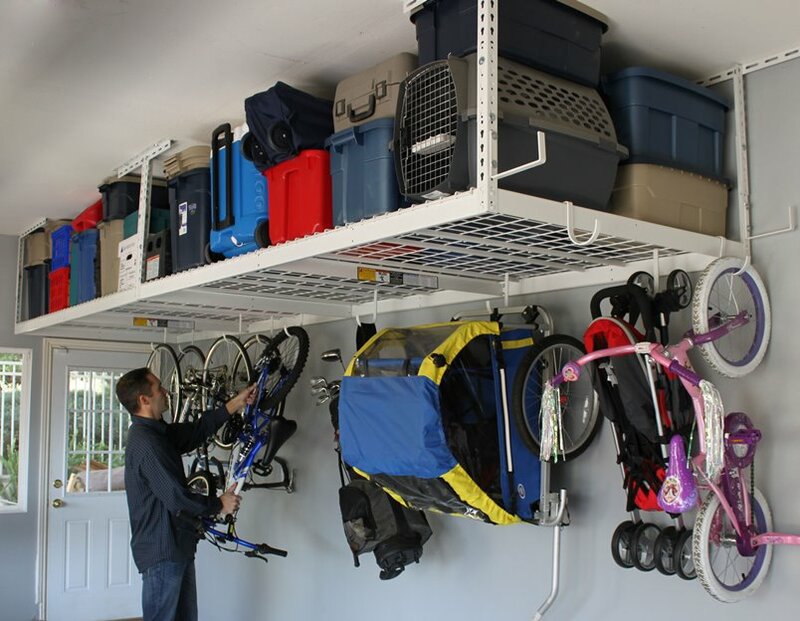 SafeRacks is a manufacturer, distributor and installer of garage storage and home organization products. Davis, a 10-year career veteran from the United States Air Force, believes these tariffs will harm his business and others like it. One hundred percent of SafeRacks products are made in China due to non-existent U.S. production facilities and are all classified under HTS 9403.20.00. Davis’ products, which offer American consumers easy do-it-yourself storage products and employs a nationwide network of contractors to assist with installation, are bought online from retailers like Costco, Amazon, The Home Depot and SafeRacks.com. He notes that while the industry is highly competitive, SafeRacks, like many companies, faces extremely low margins and cannot alone absorb these tariffs. SafeRacks product sales are incredibly susceptible to minor price changes and the imposition of a duty will not only have a disproportionate, adverse impact on U.S. consumers but harm SafeRacks as well, a U.S. company. The consumer will bear the full burden of paying for these tariffs with increased prices. At a certain point, the cost of our products will outweigh the benefits of functionality. In his opposition statement, Davis notes the tariffs will have no impact on the Chinese to alter or change their policies, practices and actions on intellectual property violations and trade secrets theft. While SafeRacks does have its own patents and proprietary designs, Davis says, “little has changed or can be stolen over the idea of a shelf.” He explains that the only negative and disproportionate impact will be on SafeRacks, its employees and the American consumer. Davis also notes that since the beginning, his company has exclusively sourced its fabrication in China. There is no U.S. alternative manufacturing source with the capacity or ability to fabricate, coat, package and distribute SafeRacks products under the same roof. The lack of U.S. production for SafeRacks product lines would mean fabrication, coating and packaging would have to be done in separate facilities in the United States, which is cost-prohibitive. To learn more about the company and the products it offers, visit SafeRacks.com. SafeRacks is a premier manufacturer, distributor and installer of garage storage and home organization products. Since 2008, the veteran-owned company has designed, patented and brought to market many innovative products. To learn more, visit SafeRacks.com.